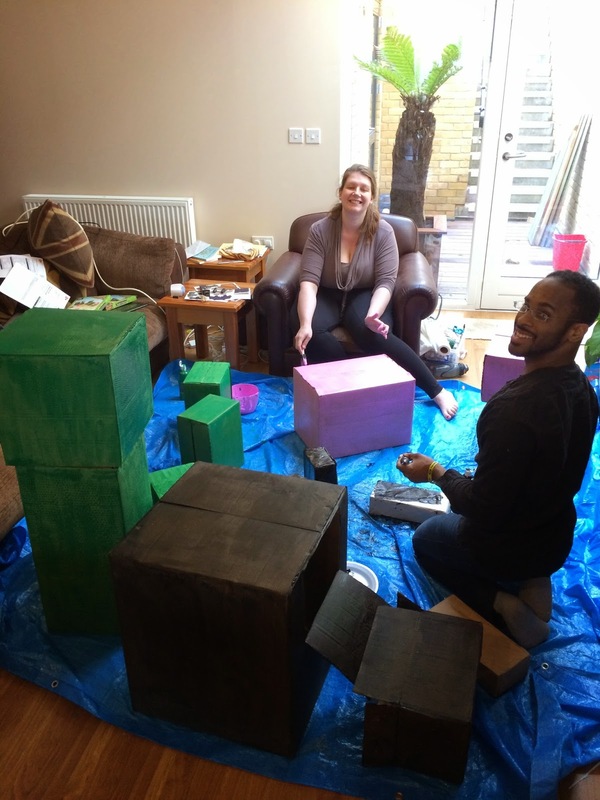 Tasha has been wanting a Minecraft themed party for a long time, she finally convinced me to do it for her this year. It was actually a lot of fun to pull off! You will notice touches of pink throughout, Tasha loves pink and I think it makes a good contrast to all the green. 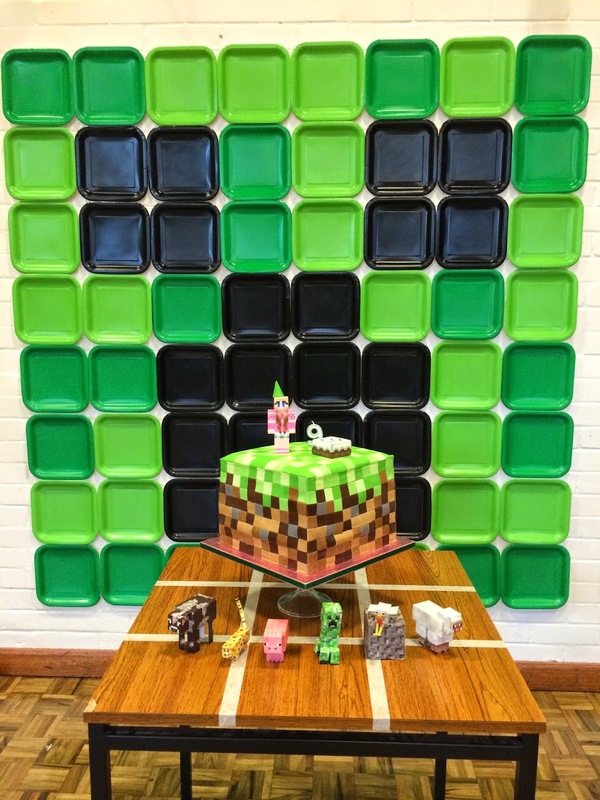 We created a Creeper face on the wall using square party plates. It made a great backdrop for photos. Some friends helped me to make life sized Minecraft characters out of cardboard boxes. 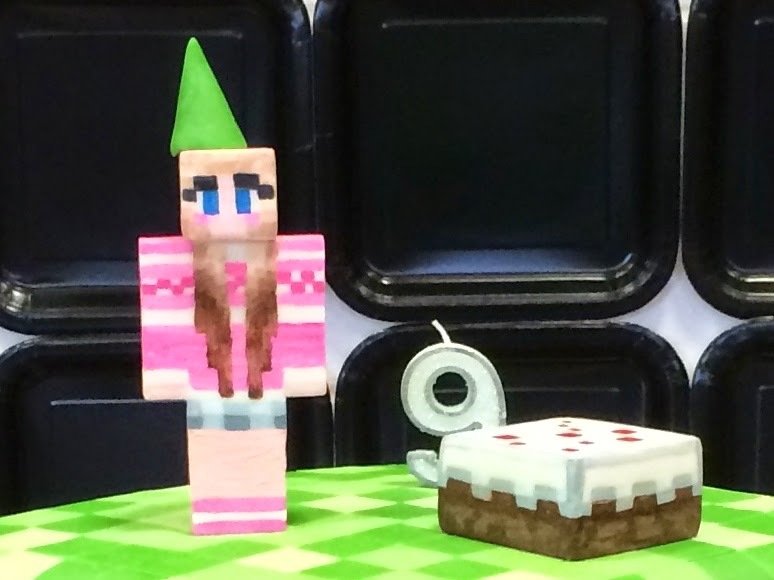 The cake is a slightly simplified Grass Block, the figure on top is Tasha herself, using her Minecraft Skin, she is standing next to a Minecraft Cake. Each square on the cake is a separate little piece of fondant. 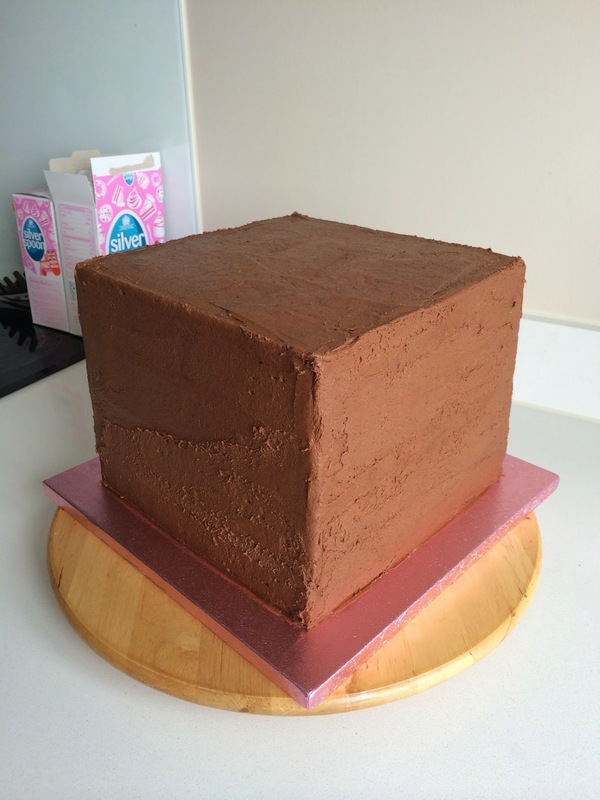 I was a bit disappointed with the finish of my cake cube, it was so perfect after crumb coating, I'm not quite sure where I went wrong, but the finished cake is very warped, the sides seem to have sagged downwards. 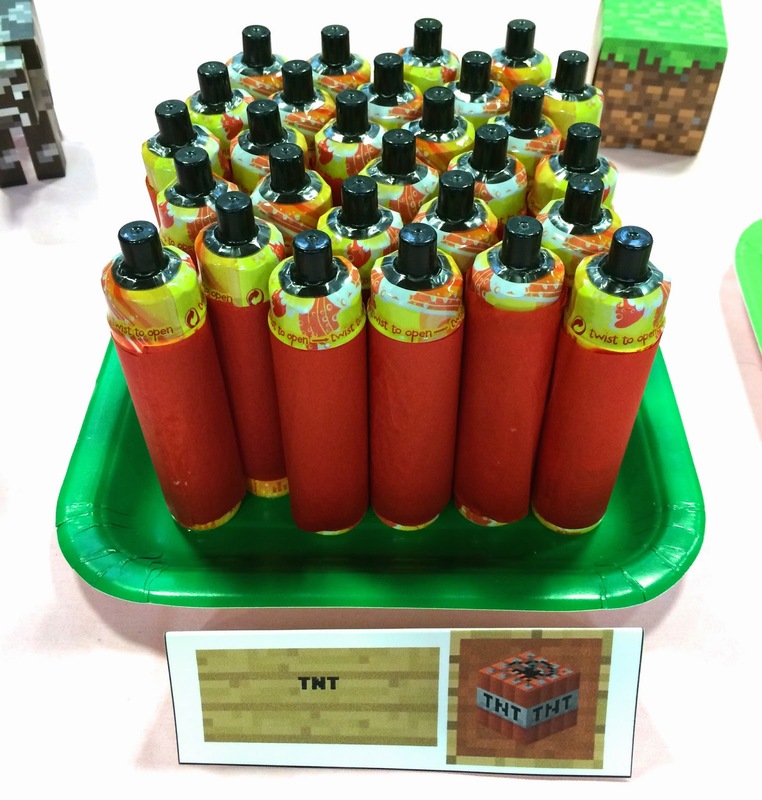 We vary carefully selected every bit of party food so that it matched with an Item from Minecraft. 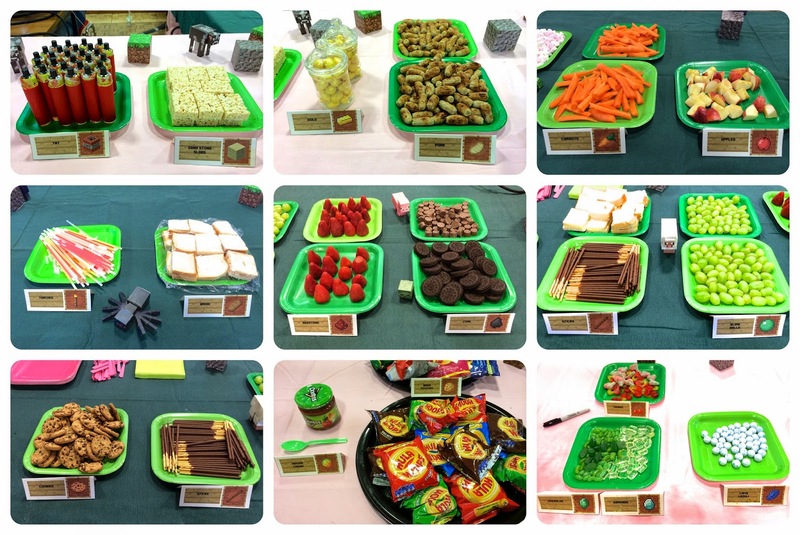 Each food got a corresponding sign to identify it's Minecraft item name. 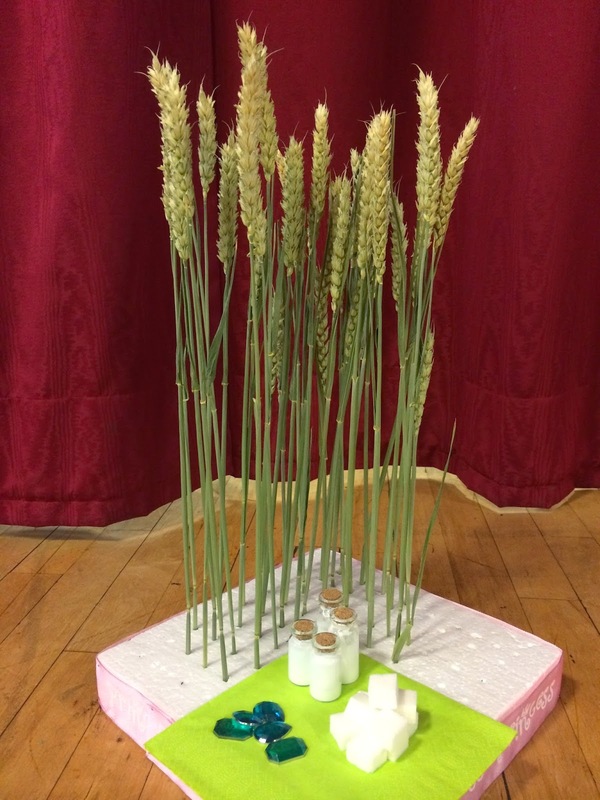 In order to earn their piece of birthday cake, each child had to collect specific items to arrange on the Crafting Table and craft their cake (the crafting recipe we used is close, but not exactly the same as the one for cake on Minecraft, due to availability of supplies). They had to collect wheat, milk, eggs, and sugar. Eggs were collected by searching for them around the building where they had been hidden (an egg hunt). They could also find hidden emeralds along the way. The emeralds could be used to trade with Villagers (adult/teenaged helpers at the party) for sugar lumps. 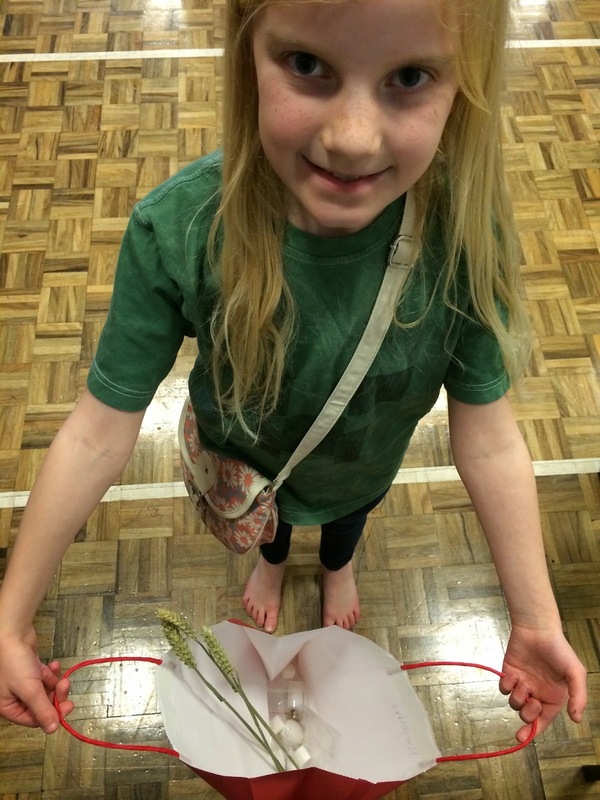 They earned wheat by knocking over wheat skittles (i.e. 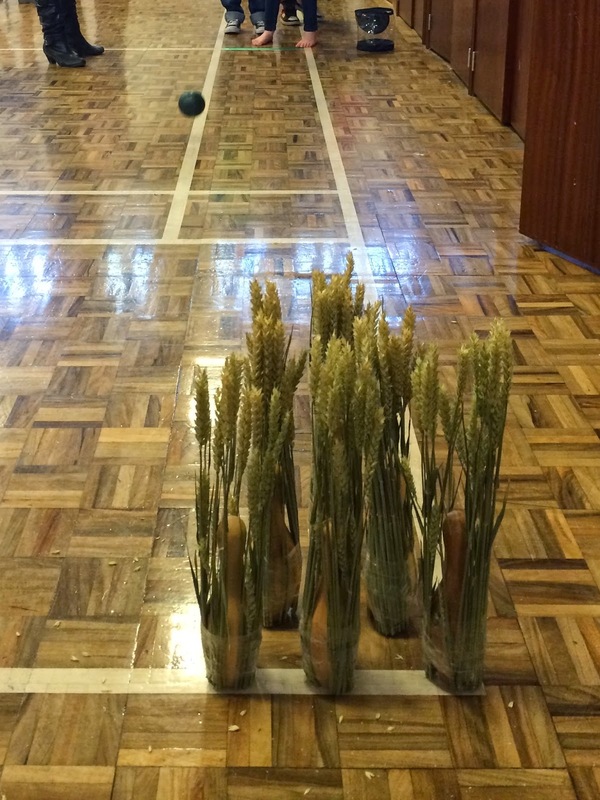 cutting the wheat). All items could also be bartered with the other children or the villagers, until each child had all the items they needed to craft their cake at the crafting table. Another activity the children enjoyed was creating their own Skin, by decorating a T-Shirt with fabric markers. The remainder of the party was spent eating and playing various party games. Minecraft parody songs played in the background for most of the party.